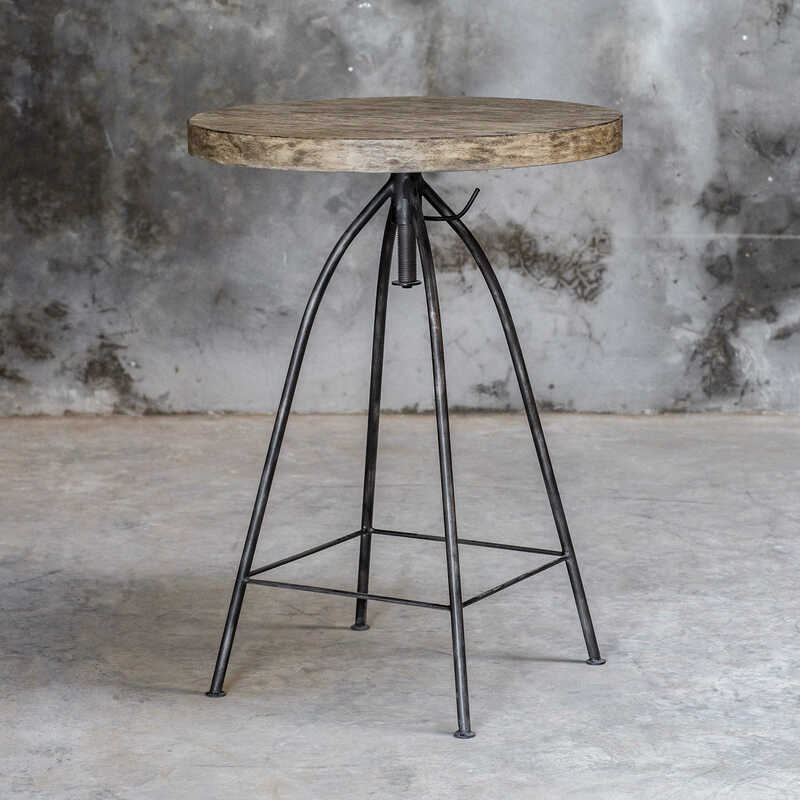 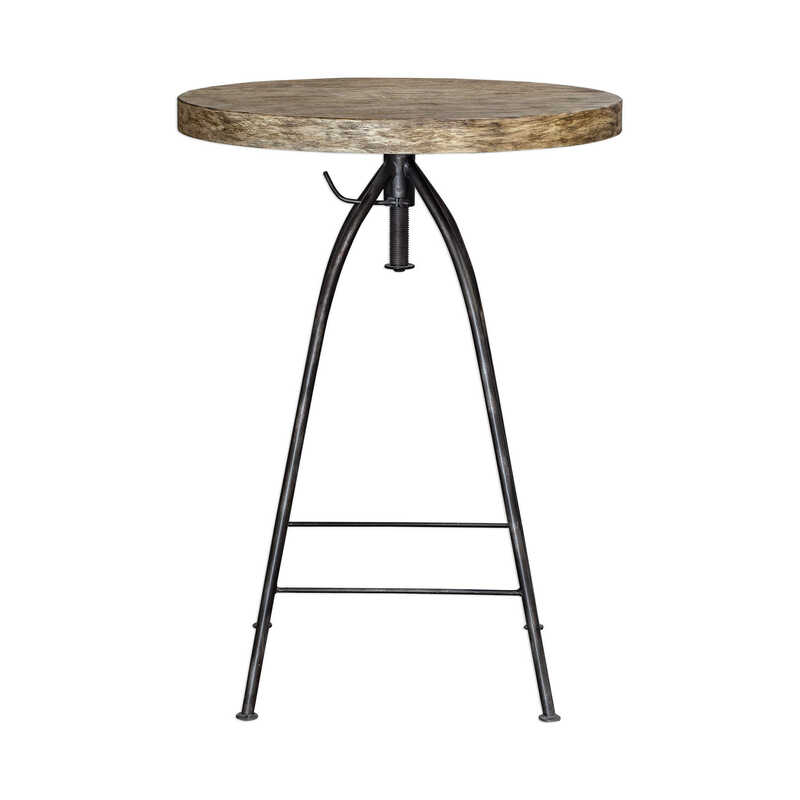 Add industrial style to a space with this pub table design. 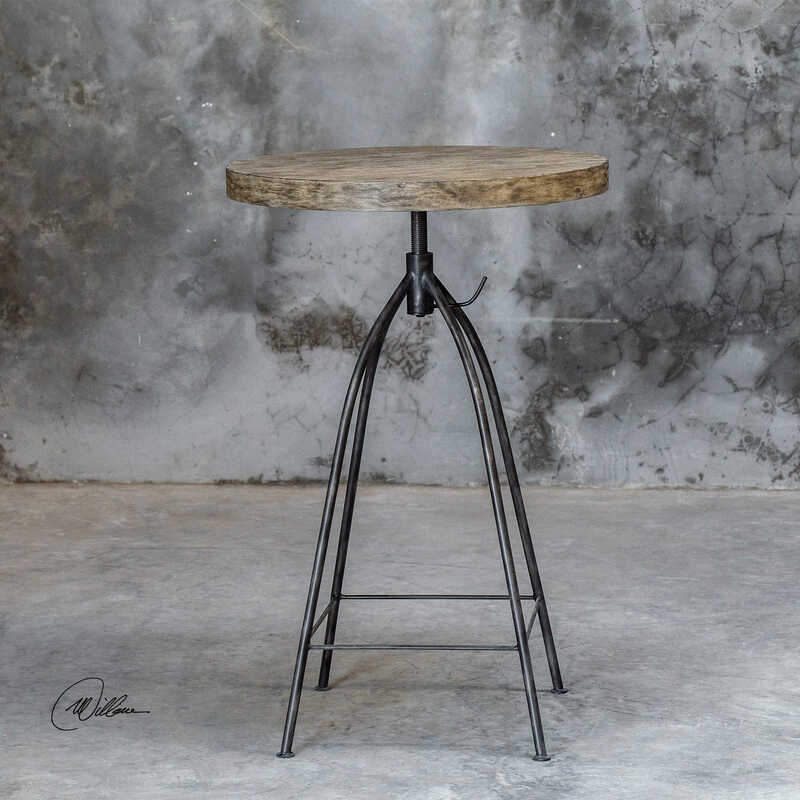 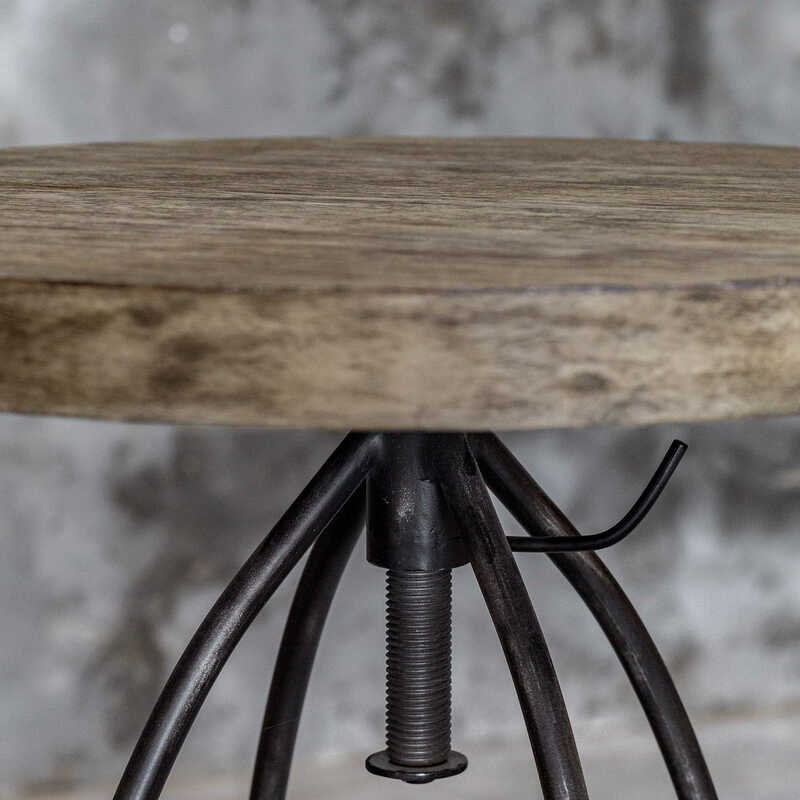 The hammered metal base is finished in aged steel and is topped with a round, mango veneer top in a driftwood finish. 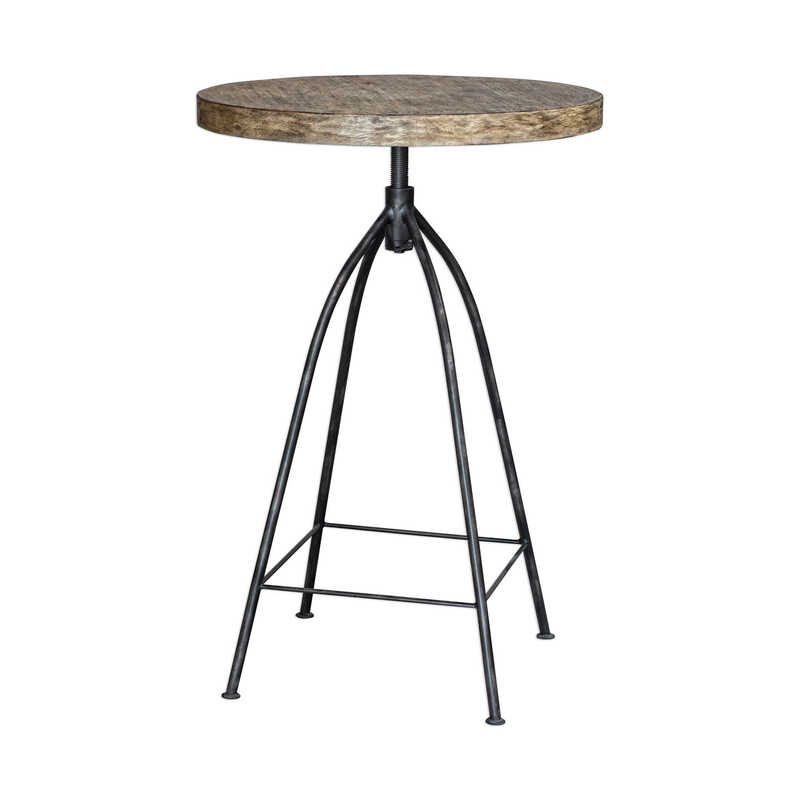 Top may be rotated and locked from 37.5" to 41.5" high.